David loves to spin. He spins toys, wheels, lights and particularly enjoys whole body spinning himself akin to a figure skater. He'll spin when he's excited and sometimes spin his fingers near his eyes too. He spins at home, at the playground, on days out and even in the odd restaurant. And then in the same restaurant he may stand mesmerised by a spinning fan that's just meant to be keeping the patrons cool. Sometimes it's a reaction to having fun, being excited and sometimes it's about being calm. Spending time with our family is something I treasure, but it's not always easy. Some days we have a great time, some days we have to go home early, and some days we manage to cope enough to stay out and that might be down to David playing on his iPad or another one of the kids playing with a fidget spinner. Yes, I understand it looks a bit odd wondering around a visitor attraction with a child who is holding an iPad to his ear and another one that is skipping along while apparently playing with a toy. But it's not odd to them. Not at all. In fact to them, not having an iPad blaring in their ear or not fidgeting is odd - very odd, wrong even. 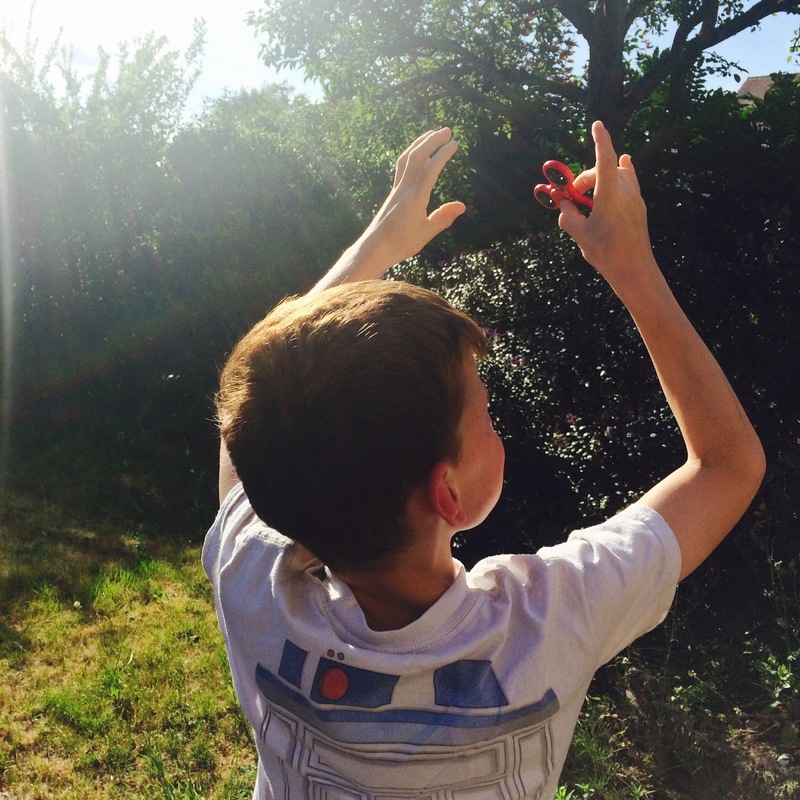 One of the classic questions we were asked when both boys were being considered for an autism diagnosis was 'do they like spinning the wheels on their toy cars'. In our case, the answer was yes, but not obsessively. Not recognising a toy car as something to be pushed along with a brum brum, beep beep noise is quite the norm if you have difficulty with imaginative play and this is fairly common in people with autism. But the paediatrician was actually referring to some kind of sensory stimulation. Both my boys use sensory input to help them when they feel nervous, out of control or even over excited. David will focus on his iPad or a spinning fan, using them a bit like blinkers to anything around him he is unsure of it. He may let the music and pictures from an iPad fill him and take away whatever he may be concerned about or beg the feeling of fast air to fill the space in his body that isn't being met by the environment around him. His body needs input. So whilst he sometimes doesn't need this input when he's on a theme park ride (thank goodness as that would be awkward), he does need it when we are sat in a restaurant and there is nothing providing this feeling for his body. Anthony often seeks movement when he needs to concentrate too. He's more likely to be able to hold a conversation with you if his fingers are moving about. And that's with his ADHD meds... he couldn't really sit for long at all before he started his prescriptions. That might not sound odd for a child. But imagine not being able to sit long enough to go to the loo because your body needed to move and you'd lost focus on what you were supposed to be doing. Sitting still can sometimes be pretty essential. So sometimes to enjoy our days out, or at least get the best opportunity to, you'll see our kids enjoying the latest apparent crazes. They may be playing with iPads and fidgeting about and that's just fine. But I suspect we may be doing it far past the time when fidget spinners and iPads are trendy... and that's fine with us too. This post contained a giveaway that is now closed. For further information see details below. Conditions: UK Residents only. Entrants must be aged over 18. Entry is via Rafflecopter. Entries can be made up until midnight on the 28th July 2017. Ten winners will be chosen from all the entries at random the day after closing. The winners will be contacted within one week of the closing date and have one month to respond. The Prize is a pair of fidget spinners are pictured above. No cash alternative. The prize will be sent directly from Day Out With The Kids. Deep breathing is a useful and easy technique. we try to move to a quieter area away from crowds when my son gets distressed. Great idea - we try and pick a quiet place too. Oh no - that's rubbish! I hope you managed to get something else sorted. I don't mind so much to be honest. 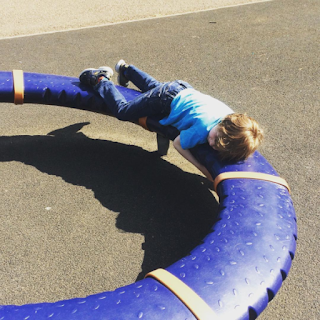 There are lots of sensory toys enjoyed by many kids like light and bubbles tubes, ball bits and trampettes. It might benefit our lot in a different way is all. I think the commercialisation can sometimes make items cheaper to make too and that's not a bad thing. Thanks so much for commenting. Fortunately I only have a niece and nephew so it's vary rare they have a meltdown when they are with me! Try & get them to give me a cuddle & take deep breaths! I try and think of all the tips that I can remember when I'm not in a stressful situation. Diversion techniques, change of helper, food, colours, anything I can think of. Fantastic giveaway! Thank you for sharing. It is fascinating to see how these fidget spinners have made it into the mainstream playground & I'm glad the fidget spinner have helped. My children have one each and are fascinated by it; they can't do any tricks they just watch them spin. There is something mesmerizing about them! Good giveaway , we try and talk to them. These fidget spinners are everywhere!!! Hubby even brought one home but thankfully his broke within days haha! Thank you for sharing this with us at #TriumphantTales. I hope to see you back on Tuesday. My other half listens to music when he is working a lot. When I'm in a meeting I fiddle with a biro, when I'm teaching I'm holding a wipe board marker. Whatever works for us all. Thanks so much for commenting. Telling them to quieten down, can help :- Depending on age / stage of child development, and level of Respect, etc. Also :- May be tired, thirsty, needing toilet. So Be Aware. Offer anything child might need e.g. Drink of water, etc. Have items which are safe for child and will occupy, or distract the child ( from being aware of time elapsing, etc). Distraction is a really good tactic. We take things with us just for this reason! Thanks everyone for commenting. Time out to calm down is part of the children's routine, wherever we are. Take time outs and give them a chance to calm down. Try to distract them or give them time out. Doing a "quiet" activity helps too ie watching the animals or looking for insects (luckily they are weird and enjoy that). Take time to understand that they are just learning too, so the "minute" thing they are getting excited about is HUGE to them. I'm still working on finding the best techniques for my 4 year old. It seems that giving advanced notice of what's happening helps, as does warning about any changes as soon as I know they'll happen. But I can't always manage to prevent the meltdowns, which we honestly just have to ride out.